While we have built our reputation on providing some of the best, most-affordable, and reliable custom writing services available on the internet to college and university students who need writing help, what many people do not realize is that we can help you before you ever go to college. We are a great source for college application essays. We can prepare specific essays for individual prompts or provide you with a generic essay that you can use as a base for your own college admission essays or personal statements. With our essays, we will provide the type of high-quality writing that admissions boards and scholarship review boards want, while still highlighting your individual strengths as a student. Simply — Our college application essay writing service will help you with getting accepted to the college of your dreams. Application essays are essays written for a specific purpose: to gain admission into school or to secure a scholarship. College application essays and scholarship essays can present a real challenge to those who are not familiar with them. Generally limited in length, these essays ask writers to present something unique about themselves, while providing very little opportunity for the writer to provide background or context. The writer has to manage two competing tasks because the writer has to stand out from the crowd, while still scrupulously observing the grammatical and stylistic conventions that prove the student is a deserving scholarship recipient or will be a capable student it admitted to the school. At the same time, the essays must be believable and show that, while the student is accomplished, he or she is also humble. If you find yourself intimidated by the college application process or unsure how to tackle scholarship applications, let the experienced writers at Student Network Resources help you. At Student Network Resources, our freelance writers have been helping people write memorable application essays since 1998. Working with you, using your background and history, we help you create application essays that are personal, memorable, and demonstrate why you are a great candidate for a school or a worthy scholarship recipient. It does help that many universities now use the common application process. 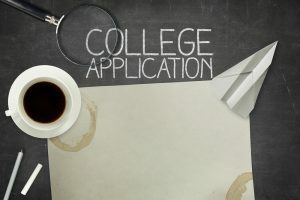 This process allows you to simplify your application procedures by filling out a single application, which can be submitted to multiple schools. If any of the schools on your list use this system, then you are definitely going to be asked to submit an essay as part of your application. You can even visit the www.commonapp.org website to find out which prompts are more popular, so that you can pick a less-popular prompt to help you stand out from your competition. While the actual essay prompts change from year-to-year, they all focus on a common theme: personal growth. The readers are looking for you to describe something that had a lasting impact on you, why it had that impact, and how the experience changed you. Narrowing down that approach, your essays may ask you to: describe a person you admire; describe a time you overcame a challenge; describe a time you changed your perspective or opinion of something; describe how you handled some type of adversity; describe a time you failed; or identify a problem and describing how you would solve it. Other essays are also looking at personal growth, but do so with subtler prompts. If you are asked: why you want to attend a particular school, why you deserve a scholarship, your vision of your future, extracurricular or volunteer activities, or favorite books or classes; then you need to ensure that you are linking those topics either to growth or change that has already occurred in your life or to your own future efforts at growth or change. One of the most difficult challenges of writing an application essay is striking the balance between effectively describing personal growth and bragging. You want to come across as humble, but that can be a hard sentiment to convey in writing. Fortunately, at Student Network Resources, our writers understand how to convey growth without also conveying arrogance. Another challenge that many of our customers face is trying to decide what approach to take to answering the essay prompt. Actually, the prompt itself will provide clues on how you should answer it. The four formats that are often used in application essays are: personal narrative, persuasive essay, expository essay, and argumentative essay. To determine how to write your response, you have to look at what the prompt is asking you to do. If you are asked to explain why an event was life-changing, even if you are taking a first-person perspective, your essay needs to be persuasive. If you are asked to talk about a mistake, you are going to need to incorporate elements of an argumentative essay, first to establish that it was a mistake, and, second, to bolster any arguments you make about the lessons from that mistake. Our freelance writers know that it is critical to include elements of different types of writing into successful personal statements and will craft an essay that perfectly addresses all elements of an essay prompt. Finally, many of our customers ask how long application essays should be. Obviously, if you are given instructions about length, you need to follow those instructions. However, personal statements often contain a range of lengths. Generally, you are going to be asked to provide at least two pages (600 words) for a personal statement. You may not be provided with an upper limit. We suggest aiming for three pages (900 words). That length gives you the space to develop an introduction, body, and conclusion to your personal statement, but also keeps you from writing too much. No matter how wonderful your essay is, those who are reading it have other essays they must assess as well. From the student’s perspective, we have been told that the best part of our product is our combination of high-quality and affordability. Where you go to college can have a lifelong impact, so it is worth making an investment to ensure you get into the college of your choice. For as little as $36.00, you can have a 2-page (600 words) custom written essay example, or $54.00 for a 3-page (900 words) essay example. I was having a hard time trying to write about overcoming adversity without sounding like a victim. I shared my story with a Student Network Resource Writer, and that writer not only helped me show an admissions committee why I deserved a place at school, but also why my grades fell dramatically in my sophomore year. I got the spot! I will use them again when it comes time to apply to grad school! Nothing about me stands out from a crowd, which meant that all of my attempts at admission essays were boring. Somehow one of your writers made my ho-hum existence seem exciting and helped move this borderline student into the yes list at several good schools. Whether you want individually-written essays for each scholarship or college application, or simply need help creating a generic essay that you can tweak for the individual requirements of each school or organization, our team of writers can get you exactly what you need. Contact us today to get more information on how our college application essay writing service can help you stand out from the crowd and start you down the pathway to your dreams. Order A College Application Essay Now!